In Summer you always struggle to have a fashionable hairstyle because of the heat. Girls want a hairstyle that can work for shopping, chilling in the sun, sundowners and fancy dinner while still looking trendy and stylish. LUXO has the perfect solution: sleek tight ponytails. 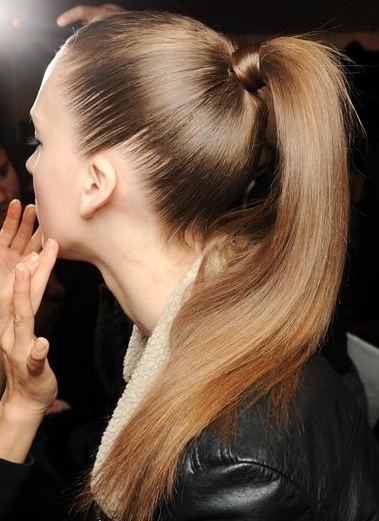 Tight ponytails is a must have hairstyle for 2013 as we have spotted it on the runways, red carpets and fashion editorials. This is a simple hairstyle and you will be comfortable but still look fabulous. No comments yet on The Trendy Sleek Ponytail.